Meet your guide and group at a location in Cambridge and embark on a 70-minute student-led walking tour of the Massachusetts Institute of Technology (MIT). Beginning late morning in the heart of Kendall Square, you'll be led onto the campus by a charismatic MIT student. Enjoy the sights of this unique campus while your guide entertains and inspires with tales of MIT history along with their personal experience at the University they call home. Meet your student-guide in Kendall Square and prepare to demystify the school that stands among the United States' top universities. During your tour, glimpse the buildings that compose the MIT milieu and develop insights into the institution that is home to some of the world's most talented innovators in the fields of math, science, and technology. Get the inside scoop on the vibrant history, rigorous culture, and intriguing alumni who hail from MIT, the Massachusetts Institute of Technology. This walking tour focuses on the acclaimed United States research institute and unlocks the secrets of the school with stops at its most iconic sites. You'll even become privy to a few MIT secrets along the way, including the world of "Hacks!" – MIT's version of pranks! Fall in step with your guide and head toward the Green Building—a concrete edifice where researchers conduct cutting-edge meteorological assessments and radio communications in rooftop laboratories. From here, head to the Great Dome—lovingly referred to as the "Center of the Universe" by alums and home to the school's engineering library. Finally, check out the Infinite Corridor—an 825-foot (251-m) passage which serves as the central spine of the MIT campus. See students abuzz in between classes and hear about some of the institution's alums—from engineer and astronaut Buzz Aldrin to architectural ingénue I.M. Pei. Finish with a return to Kendall Square and conclude your tour in the heart of Cambridge. 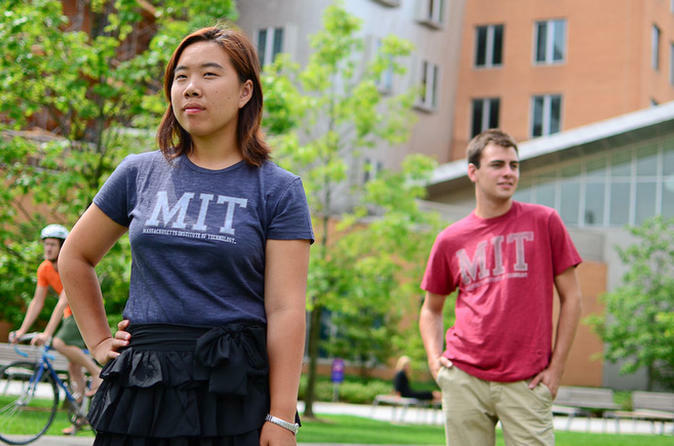 Whether you're a student visiting colleges or a family on vacation, the MIT Tour is undoubtedly the top way to see MIT.